Musings 'n scribblings of a philanthrope .. : What happened at the Taj Hotel Mumbai on 26 Nov 2008 ? 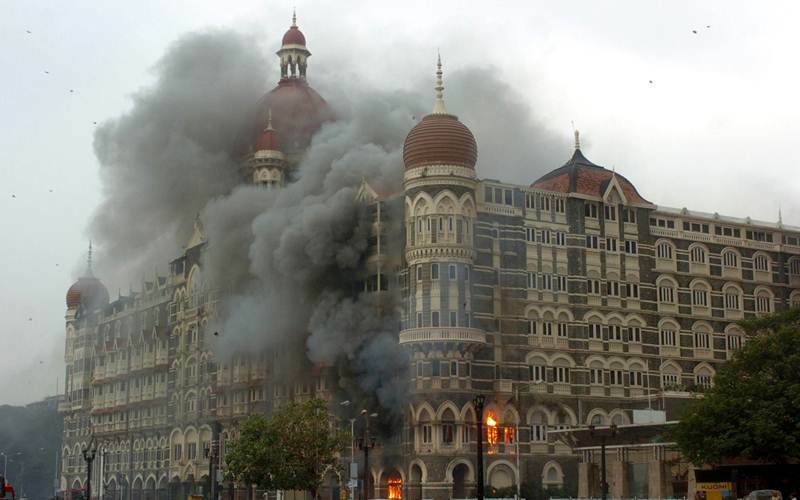 What happened at the Taj Hotel Mumbai on 26 Nov 2008 ? It gave me immense pride and satisfaction while narrating this event that happened in Taj Palace Hotel, Mumbai at the last session of Service Operations Management class for second year MBA students at Alliance University in Bangalore. While discussing a TED video by Prof. Rohit Deshpande speaking at a TEDx conference of what happened on the fateful night of 26 November 2008, the whole class felt there was something unique in how Taj Hotel Mumbai employees took care of their guests on those eventful three days. At 9 PM on 26 November 2008, a group of ten heavily armed terrorists attacked the port city of Mumbai and for the next four days they released a reign of terror in Mumbai. The heroic acts of the Taj employees who resisted four of those terrorists and helped herd guests to safety became a matter of discussion and appreciation the world over. There were almost 500 guests attending a banquet at the time, another 600 guests having dinner in the 12 restaurants in the hotel and 600 plus staff in the iconic 105 year old Taj Mahal Palace Hotel in South Mumbai that evening. A senior management team from Unilever were also having a send-off dinner to the outgoing CEO and welcoming the new one. In the mayhem that continued for almost three nights and two days, Taj Mahal Palace Hotel lost totally about thirty four guests and employees. The staff in the hotel calmed the almost one thousand plus guests and helped rescue them to safety. Totally 164 were dead in the city of Mumbai and 308 wounded from the terrorist attacks in Mumbai released by the terror outfit Lashkar-e-Taiba on that fateful night starting at the CST Railway station in South Mumbai. On the fateful night and ensuing day of November 26, 2008 ..
How did the staff at the Taj Hotel behave calmly and exhibit great presence of mind and confidence even risking their own lives for the safety of the guests when there were no clear instructions or Standard Operating Procedure (SOP) on how to handle a terror attack like this ? Nobody goaded them into behaving in a particular fashion. Even the then Tata Sons Chairman Ratan Tata and Board of Directors were at loss of words on what motivated the Taj Hotel employees to behave and act in a specific style which was the epitome of customer-centric style of functioning, even risking one's own life. It is something which has baffled even psychologists and academics from all parts of the world. This is an excellent case study for HR professionals and professionals from the hospitality industry from all around the world. The main points as highlighted by Prof. Rohit Deshpande of Harvard Business School who wrote a case on this incident are basically three. 1. Employee orientation and value set - Tata Sons recruits its employees not from top cities but from towns across the country side. CanThey recruit their employees not for their grades but for their attitude. 2. Being brand ambassadors to the outside world and of the customers - Taj Hotel employees have been brand ambassadors of Tata Sons and the Taj Hotel group for the customers / guests who come to the hotel. In fact this is a unique trait one gets to see in almost all of the 3.5 lakh employees of Tata Sons across the world. 3. Immediate recognition of a good deed - Taj hotel has a culture of rewarding its employees with recognition whenever they get a positive feedback from the customer. Than with monetary rewards this happens within 48 hours of the feat accomplishment. Though monetary compensation for employees is not great, just above industry average, the recognition they get from the Taj Hotel management is something employees value very much..
3. transform a symbol of terror over the years into a symbol of hope for the world. No wonder Tata Sons, the $103 billion conglomerate from India remains the most respected industrial group globally and will continue to remain so ..
4. Blog - Will Chandra reverse Tata's fortunes ?